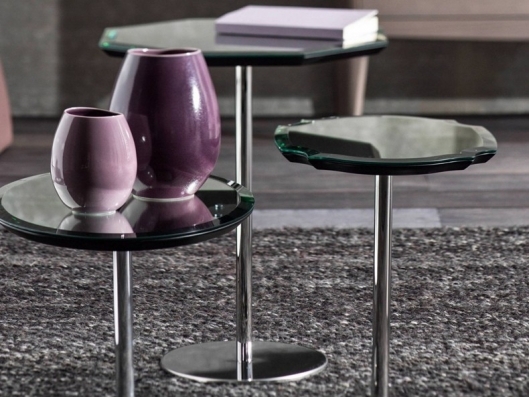 The main feature of Ginger is the square silvery mirrored glass top, which is rimmed and bevelled. The top is supported by a tubular metal structure with a glossy chrome finish and a stainless steel covered base. A project designed by Paola Navone, visually light, but stable and solid.